For the outdoorsman, gloves are essential. They protect your hands from nature, the elements, and can provide for good camouflage. With that said, finding a good pair can be a pain. You’ll want a pair that can stay dry and comfortable when the going gets tough. Here are some of the best gloves out there that can keep your hands dry. The first pair of gloves are a budget pair, but they’re still competently made and provide quality comfort. They’re around $15, but you’ll feel like they should be worth more. Crafted from some deerskin leather, they can help keep your hands warm when there’s a cold front. This is due to their thermal layering and their cotton interior. These gloves also have an anti-slip feature, which means you can hold your belongings as tight as possible. Want to hunt deer in a snowy environment? These gloves have you covered. They are waterproof, of course, and sizing is available for men and women. Carhartt is a big name when it comes to outdoors products, and their gloves show why. They are a few bucks more than the previous pair, but offer tons of quality. They come in three different colors, and they are designed to fit snugly around your hands. One technology Carhartt boasts is its FastDry technology, which keeps your hands cool and dry so that the sweat doesn’t hinder your activities. Just make sure to wash them gently, and you should be fine. 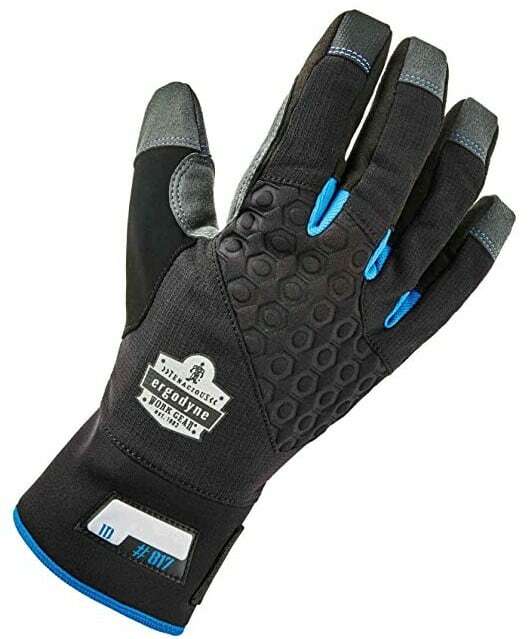 You’ll need a pair of work gloves if you work in construction, love to do yard or maintenance work, and do anything else that is a tough job. A cheap pair of work gloves won’t protect your hands and will keep them cold while you’re trying to get the job done. That is the last thing you want. 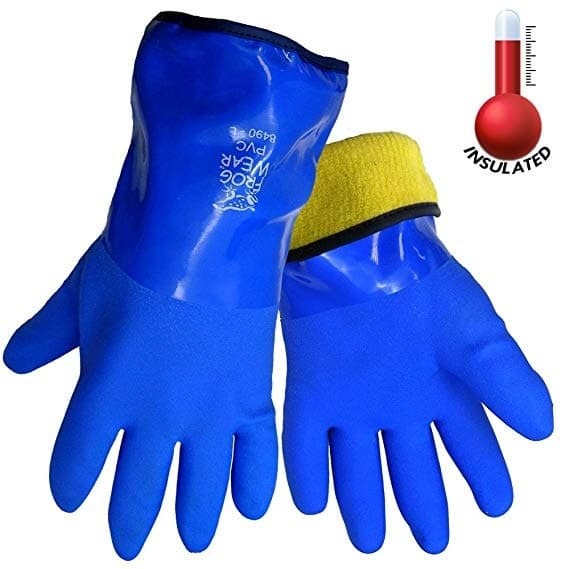 These work gloves are specially designed so that you’re able to get the job done without damaging your hands due to water or wind. At $15, they are a small price to pay for some protection. 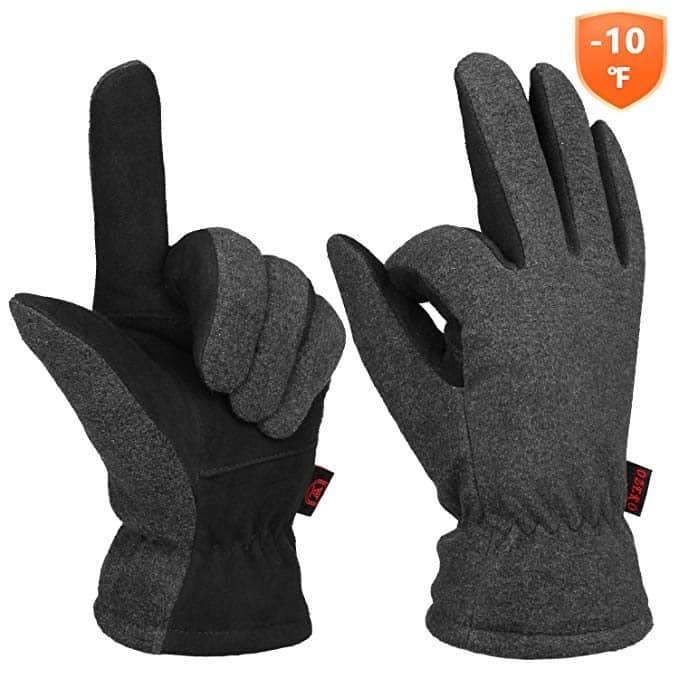 These gloves cost around $21, and offer similar features as the last two. They’re waterproof, windproof, and are designed to keep your hands snug when Old Man Winter is blowing you down. With that said, they have their own unique features that make them worth the extra money. First, they have wear resistance. This means they have extra durability and this makes them good for those who participate in winter sports. Also, they do have a zipper pocket inside of them. This allows you to store your small belongings in your gloves. They do lack sizes, but if you can fit them, we say they’re worth the money. 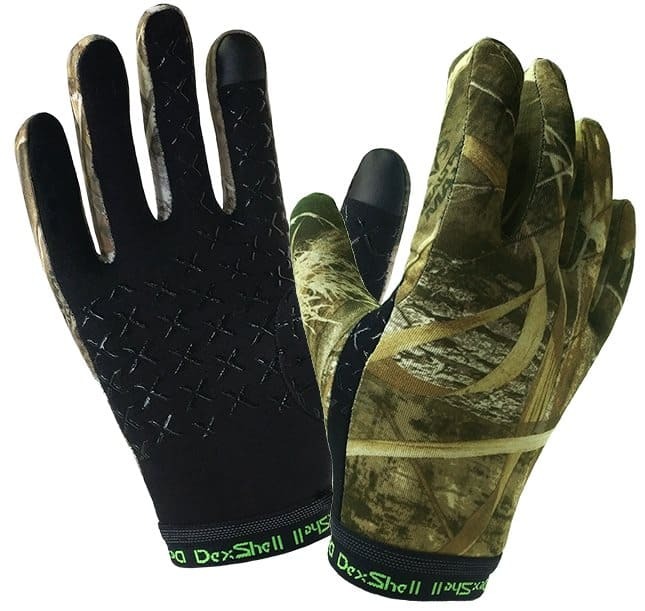 Here’s some gloves that are purely designed for hunting. If you are a hunter, these gloves are for you. 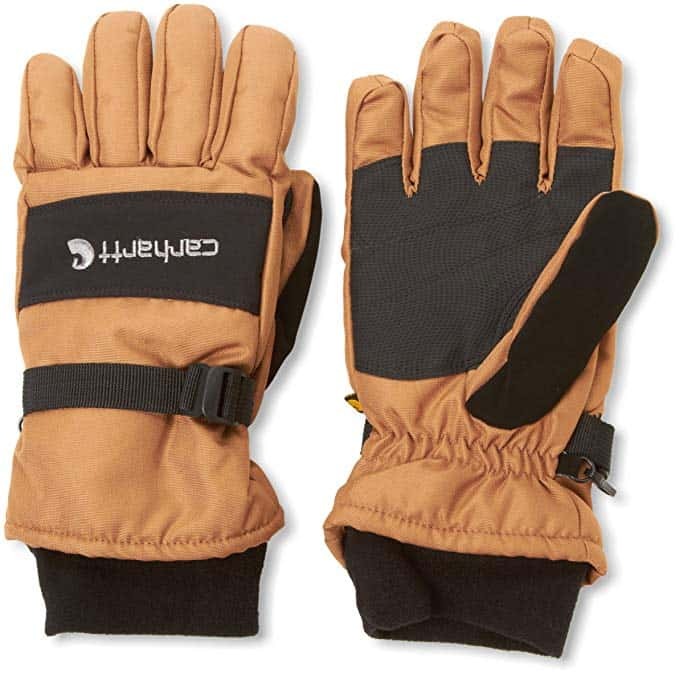 Like the previous gloves, they’re waterproof, windproof, and can fit snugly around your hands. They also have a camouflage design. For people who aren’t hunters, they may not understand why camo is so important. It can make the difference between you catching your target and your target running away. 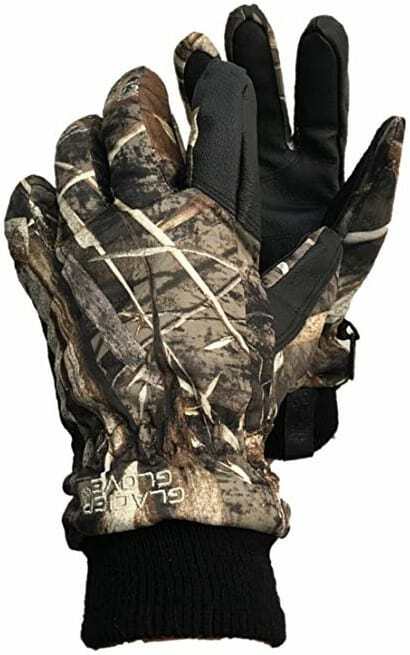 If you’re serious about hunting, you probably need to grab yourself some glacier gloves today. At around $32, these are a bit more expensive than the other brands before it. As such, you may wonder what it offers. One unique feature is that these gloves are touchscreen friendly. If you need to use your phone, it can be a bit of a challenge to do so. No one likes taking off their gloves just to use their touchscreen, especially if it’s cold and wet outside. With these gloves, you don’t have to. The thumb and index finger are touchscreen capable. If you use your phone a lot while outside, this makes the glove worth extra money. Also, the wrist cuff can extend so that you can fit it around your jacket. Make sure no cold goes inside! These gloves are quite expensive, but are worth the price. At around $55, they are a bit on the higher end, but their quality can last you much longer than other pairs. They do have full touchscreen capabilities, so if you need to use your device, you’ll be in good company. In addition, they're camouflaged. If you are a hunter, these gloves are essential, and a good hunter knows they shouldn’t cheap out on gloves. The last thing you want is to have your target run away because they see your hands, or because your gun slipped and missed. Overall, we give these gloves our seal of approval. Reducing injury. Gloves can reduce your chances of injury by 60 percent. If you’re an outdoorsman, a farmer, or do other outside work, your hands are all over the place. There is a good chance you can hurt them on some briar or suffer from frostbite. That’s the last thing you want. Put on some gloves. They can keep your hands dry. Good gloves are sweatproof and will prevent your hands from slipping. When you’re hunting, or have a job where you have to hold something, this is essential. Good gloves can keep your hands warm. As mentioned before, frostbite is a serious concern, and the cold is just uncomfortable. It can lock up your hands and make it harder to do your tasks. Stay warm and avoid trouble by putting on some gloves. Also, gloves can look stylish. Even when you’re hunting, the camouflage aesthetic can look appealing in addition to keeping your hands from showing to your targets. 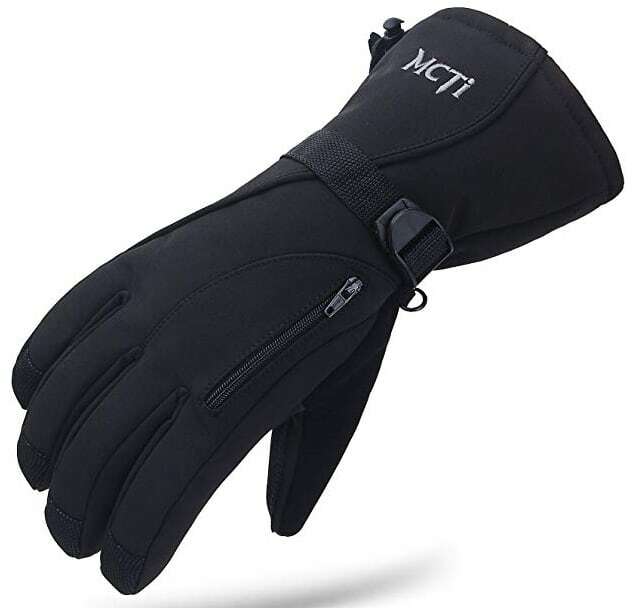 Some of these gloves are sleek and are not only good for working, but during a night out as well. When you’re dealing with rain or snow, your hands can get wet. As mentioned before, waterproofing your gloves means you don’t slip up. Even if you’re not dealing with water, there’s always a chance it can rain or you can trip in some mud. Keep your hands nice and dry with a good pair of gloves. So don’t cheap out on your gloves by getting some at the dollar store. Buy yourself a quality pair today and see what a difference they can make. We guarantee you’ll love them.